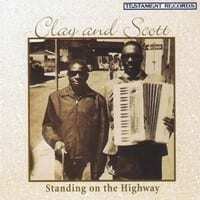 This CD features street singers, Clarence Clay and William Scott, accompanied only an accordion. The combination of their voices and the lone instrument creates a unique and haunting sound. The recordings, none have ever been issued until now, were made in 1961 in Philadelphia by Testament Records' Pete Welding.